The timeline shows the quarterly display advertising sales of Naver during the period from the first quarter of 2013 to the fourth quarter of 2016. 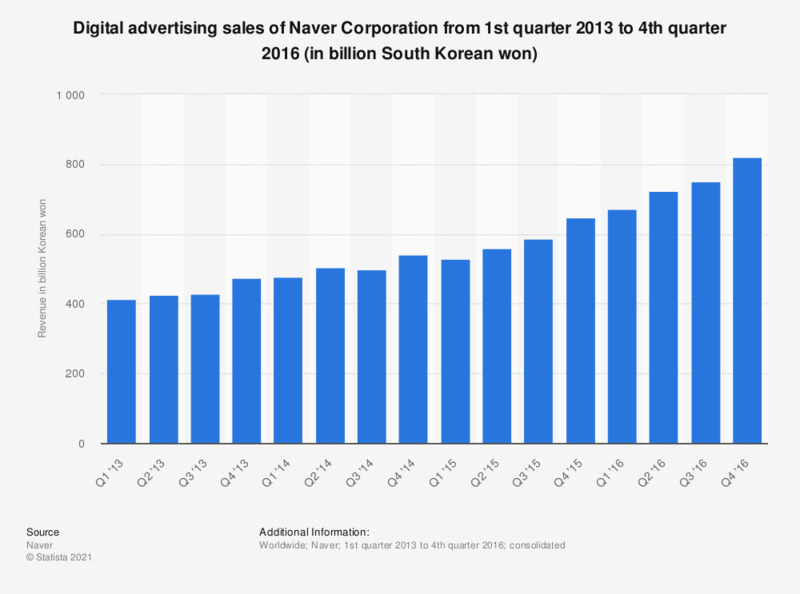 In the most recently reported quarter, Naver's digital advertising sales amounted to 822 billion Korean won. Everything On "Internet usage in South Korea" in One Document: Edited and Divided into Handy Chapters. Including Detailed References. Advertising market in the U.S.